Have you ever left your computer logged in when you have had to race off to a meeting or lunch? I used to leave it logged in. One day my boss questioned me about an email sent from my computer, asking her if I could have babies with her. A colleague had played a joke on me. I soon learned to lock my computer whenever I was not in front of it. 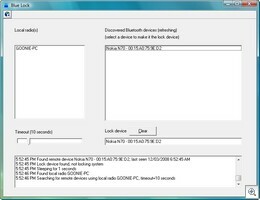 Locking a computer is a fairly simple task. The Windows+L key combination will lock your computer instantly. It is still easy to forget though, so why not automate it with a little help from Bluetooth! Bluelock is a small program that runs in your task tray. It detects if you (your phone) has moved away from your computer. 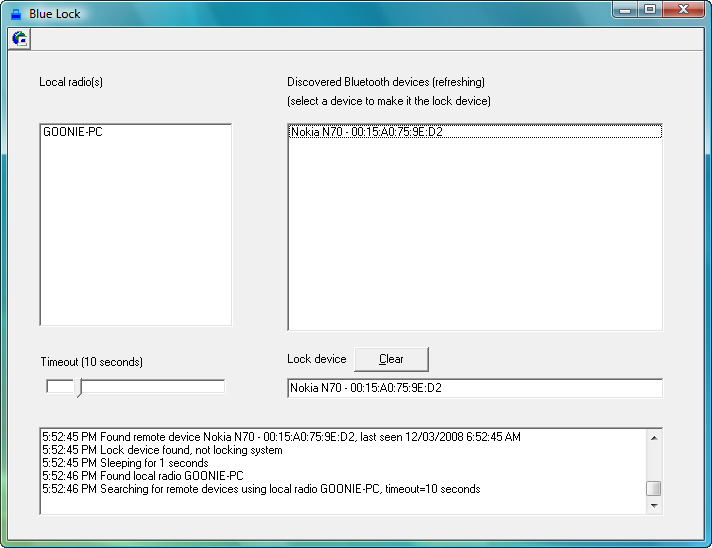 If Bluelock can no longer find your phone because it is out of range, it will automatically lock your computer. When you return, you can type in your password, knowing that your computer was safe during your trip. There is no installation required on either your phone or your computer. In fact, no software is needed on your phone at all. All that is required is Bluetooth on both your computer and your phone. I found it to be very reliable in my testing in both XP and Vista. Many devices still have an older version of Bluetooth in them which has a range of 10 metres. Unfortunately, newer Bluetooth signals can reach up to 100 metres on a good day, so for this program to work, you will need to be more than 100m away from your computer. Bluelock is available for free from Wuuls Website. I don’t have a webcam, and I don’t really intend on ever buying one. Occasionally there are times that others have requested that I get one, but I can’t justify the purchase. Most phones these days have cameras built in, so wouldn’t it be great if we could use the phones we already have as our webcam. SmartCam answers the call. SmartCam fools your computer into seeing your smartphones camera as a webcam. A Windows client and a mobile client both need to be installed for it to operate. 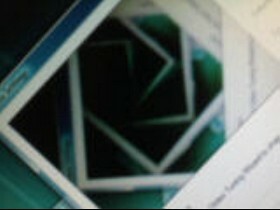 SmartCam works with MSN messenger, Skype, as well as a straight forward capture to file. While this all sounds very good, being a SourceForge hosted project that is still very young, SmartCam has some limitations. It only works over Bluetooth, which is exactly what I wanted, but it may limit some users. It is designed for Symbian S60, Series 2 & 3 devices, although it does run on a Java platform; so it may work on other devices. SmartCam worked for me on a Nokia N70. I had no success with Windows Mobile, however it has not been designed to run on this platform as yet. It was designed for XP, and I had no problems running SmartCam in Vista. It is a little fiddly to get up and running. The mobile versions need to be installed from the Windows installation folder. Once you read the Read Me file, and get the hang of how it works, you should be fine. SmartCam fulfilled my needs, and I recommend you give this one a go. (Update: 26/9/07) To stop the popups for each new frame on your phone, go into your tools folder and select your application manager. Go down to jSmartCam, select options, and Suite Settings. Change Multimedia to Ask First Time. For more information, check out the read-me file in the installation folder. With the addition of Bluetooth technology in many mobile phone handsets, we are now able to create small networks in which we can pass around notes and files from one phone or computer to another. While there are not really many practical reasons for doing this, it is free, easy, and fun to play with. I think about a school classroom, where teenagers are texting each other messages in class, each time clocking up 15c on their phone bill. As they are in close range to each other, there is no need for this to cost money. If both their phones are fitted with Bluetooth, they are able to use this technology to send the notes for free. This article will show you how to send messages and files from one phone to another over a short range for free, using Bluetooth technology. We can also send files such as ring tones, images and other audio files to one another using the same method. No additional software is required to make this work. 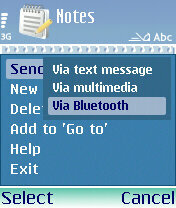 A message/file sent from a Nokia N70 to a Windows Vista PC running Outlook 2007. This should be possible on just about any Bluetooth enabled phone. The menus will be different, but the idea will be the same.